On Tuesday, June 12th, the Grade 4 students will be going to Big Splash Waterpark in Tsawwassen to celebrate a year of hard work! We will leave school at 9:20 and return by 3:00. Students will be bringing home a permission slip today outlining the details, and cost of the field trip! Looking forward to this exciting day! 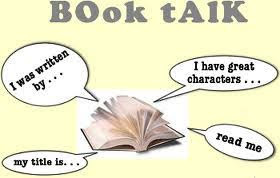 4B will be preparing a "Book Talk", where they will have to convince their classmates why their favourite book is their favourite. The outline was given out yesterday, and students are in the beginning stages of planning an oral presentation. This project is due June 5th, and presentations will take place that week. On Wednesday, May 23rd, the Grade 4 students will be visiting the planetarium to continue with their learning about the moon. Students will rotate through a number of hands-on workshops and watch an exciting play to further cement their knowledge about the solar system. We will be taking the bus at 9:30am from school and return by 1:00pm. Students must bring their lunch and water. We are looking forward to this exciting day!